Pretty In Pink Dogs: Puppy Ripe for action. So ripe its ready to practically jump off the vine. 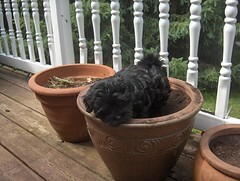 This puppy is from K'Bella Havanese, www.bolognese.ca.